This creamy white serum is lactic and glycolic-acid based and is supposed to gently exfoliate your face and promote skin cell reproduction. I received this from Cellnique several months ago amongst a couple other products, and this was by bar my favourite out of the bunch. It is very gentle and great to use if you are new to acid-based products and tend to have very sensitive skin. A lot of chemical exfoliants out there are quite harsh and can spark quite the reaction if you just shock your skin and slap them on out of nowhere. I used to have severe itching and burning when trying to do other at-home glycolic acid peels, but since I used this, I have gradually built more of a tolerance and am now able to move on to higher concentrations. It does tingle a bit for the first half an hour or so after putting it on. 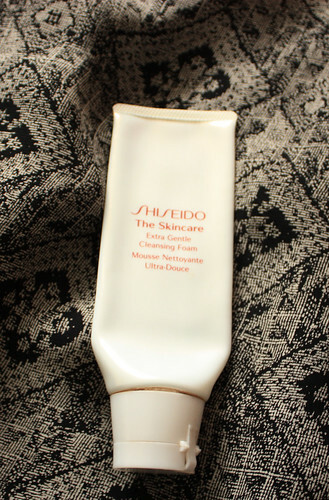 I used this every other day this fall (at night, without any moisturizer). I didn't use this in the summer since any type of chemical exfoliation isn't exactly recommended when you're being exposed to sunshine. It has definitely helped with the fading of those persistent after-blemish marks (you know those suckers that usually take WEEKS to go away) and has made my skin smoother. Strangely enough I've also been using it on my neck and chest for the past month too and that's where it's made the most visible difference. My skin is literally glowing and I used to get small blemishes on my chest that have completely stopped. Anyways, enough blabber! 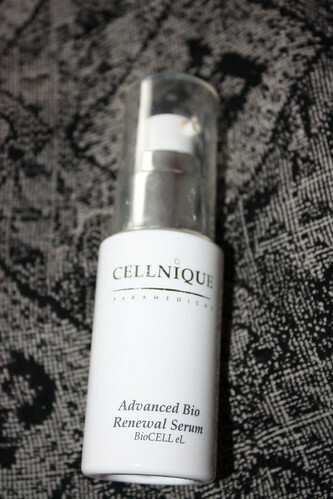 I liked this product a lot, however, it does cost $51 and is only available online (at www.cellnique.com). They have free worldwide shipping offers which is nice, but sometimes I just prefer brands that are more accessible and I can physically buy in-store. Other brands like Dermalogica and Kate Somerville have similar offerings in the same price range that I'd like to try out first before deciding on whether to repurchase the Cellnique serum or not. Will definitely report back on my acid exfoliation journey... perhaps a comparison post later on! I purchased this on a whim in the summer with my precious Shoppers Drug Mart Optimum Points because Cetaphil Oily Skin Cleanser wasn't cutting it and I needed a deeper clean. I don't usually like foaming cleansers because I find them quite drying and they tend to be full of nasty chemicals (parabens and SLS, yuck!) but after careful observation of the ingredients list, this had none of them so it was the winner! Extremely gentle yet effective cleansing, I must say. Non-offensive scent and a little goes a long way. You literally need about a dime-sized amount for your whole face to be covered by thick, luxurious foam. First off, it didn't work with my Clarisonic. I tried it and it was just odd. Secondly, it's not that cheap. At $30 for a mere 4 ounces of product, you do tend to go through this quite quickly if you use it as your primary cleanser. I only used it on occasion when I felt like I was a big greaseball, but you would easily need to repurchase every month or so. The upside - it can be COMPLETELY duped. I've tried Clinique's "Rinse-Off Foaming Cleanser"and can safely say it is pretty much the exact same thing. It smells a bit "soapier", if that makes any sense, but it's only $18.50 and you get 5 ounces of product. Score! So, no, unfortunately I wouldn't repurchase the Shiseido cleanser and I'm quite happy I used my rewards points on it rather than dishing out the cash. Some items are worth spending extra on, and this sadly just isn't one of them. I won't blab about this one too much, I promise. I've talked about this before. It's been my favourite eye-makeup remover for the past 4 years now (I have tried those oily ones like Lancome Bifacil and all that jazz and I wasn't a fan, they made my eyes misty and itchy). 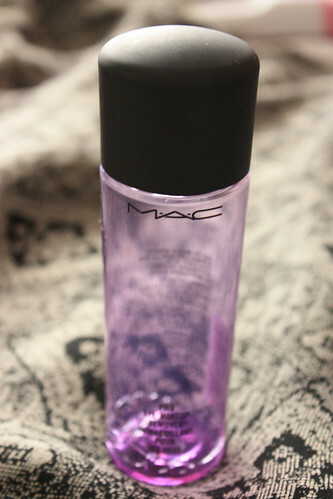 Now, I don't use any waterproof eye makeup so maybe that's why it works so well for me. It's just perfect at correcting any mistakes during eyeliner application, doesn't leave an oily residue - you can literally remove all eyeshadow and start all over fresh without a rinse or waiting too long. It's really gentle and just an overall great product. Hope you all have a great weekend... I'm SO excited for the X-Factor finals... I'll be glued to my computer and tweeting frantically (I watch an online stream of it on Justin.tv). Sandra December 01, 2010 Nail Polish, O.P.I.